In ‘Want to Cultivate a Liberal European Islam?,’ Riada Asimovic Akyol argued that “a tolerant European Islam has already existed for centuries” in countries such as Bosnia, Albania, and Turkey. She supported her claim with reference to a 2013 study by Pew Research Center that shows that majorities of Muslims in Bosnia are against the stoning of adulterers and the execution of apostates as opposed to thir co-religionists in countries such as Pakistan and Egypt. The author, who is herself Bosnian, explains this with reference to “the help of progressive theologians and intellectuals”; moreover, according to Asimovic Akyol the Pew data is an “evidence of the compatibility between Islam and modern Europe”. While Asimovic Akyol offers important insights into the history of an often-neglected minority within the broader European Muslim landscape and reminds us of the rich history of Muslim intellectuals from Bosnia and Herzegovina, it also tends to idealize the complex history of a minority that was torn between political heavyweights such as the Ottoman empire, the Habsburg empire, and the Communist regime. Obviously, Bosnian Muslim intellectuals were not (isolated and disconnected from the recently emerging global Islamic discourse. For example, soon after the Habsburg Monarchy had annexed Bosnia and the Herzegovina, a debate was taken up in one of the first pan-Islamist journals, Al-urwah al-wuthqa, published by the famous Egypt-based Muhammad Abdu and an Imam in the Bosnian city of Travnik. The Bosnian Muslim encounter with the Habsburg Monarchy gave rise to alternative stances among Bosnian Muslims, ranging from armed resistance to submission. Most importantly, the history of organized Muslims campaigns fighting for autonomy, starting with the “Islamic Community in Bosnia and Herzegovina” established in 1882 to other organizations that followed it, are primary examples for the search for self-determination that Muslims from all over the world can learn from. Indeed, the current political tendencies around Islam in Europe, such as the one adopted by French President Emanuel Macron, which the author briefly mentions, represent something wholly different from this experience. What Macron, whose strategy has been akin to the Islam-related politics of the current right-wing Austrian government, wants, is an Islam that is defined by the state. Different notions such as ‘European Islam’ or ‘Islam with a European imprint’ have been introduced by some European governments not to serve the Muslim community or to underline that Europe has an inclusive policy toward Muslims based on freedom of religion as a basic human right. It speaks for itself that these attempts in European nation states have all been introduced by the ministries of interior. Islam has been seen as and defined per se as a non-European and/or anti-European religion and thus had to be cultivated. Earliest traces of this tendency can be found in the protocols and the internal discussions produced by Benjámin von Kállay (1839 – 1903), who simultaneously served as the Minister of Finance of the Austro-Hungarian Empire and the governor of Bosnia and Herzegovina. His strategy to govern Muslims was inspired equally by Christian evangelism and by colonial practices inherited from Russia and Europeans in North Africa. To modernize Bosnia and Herzegovina was for him a step to proselytize Bosnian Muslims. In a way, for von Kállay and others Europeanness and modernization became a euphemism for de-Islamizing Muslims, pretty much the way we can observe discourses on Islam and Muslims in our time, where Islam is otherized and presented to symbolize anti-modernity and backwardness. Still, Asimovic Akyol makes an important point that I would like to develop further here. She argues that an institutionalized form of Islam can be highly successful, since a unified structure – similar to the church – means to become a strong player in the political field. One may not fully agree with the notion of ‘centralization’ of Islam given that Islamic epistemology would rather suggest pluriversality instead of universality, which means that a trait of the Islamicate is the manifestation of different understandings of Islam. In other words, the plurals of Islam have always dominated attempts against the calls for a singular interpretation. First, self-determination, something Bosnian Muslims learned from early on given that they were cut off from the Ottoman Empire in organizational terms, was a key aspect of a successful organization. While the myth goes that the Austro-Hungarian Empire was tolerant towards its new Muslim population following the annexation, Muslims fought for their rights based on self-determination and self-governance. The famous Islam Act of 1912 that legally recognized Islam as a religion before the first World War is just one long-term outcome of the sustained endeavor by Bosnian Muslims to get the same rights as others in their region. Today, Islam is often corrupted by centralized institutions, in both Muslim majority and minority contexts. What Muslim population scan follow rather is to organize their affairs independently of politic power dynamics. The diverse expressions that will emerge out of this independence will allow them to be more versatile in today’s world..
Second, European states currently work hard to determine how a ‘European Islam’ shall look like by basically drawing the borders of accepted and non-accepted Muslim conduct. These attempts hardly fit into the picture of the freedom of religion as a core European value that these governments often claim to uphold. Hence, Europe does not need more Muslims who uncritically embrace the slogan of a European Islam – no matter if this happens by drawing on Tariq Ramadan or Bassam Tibi and their different notions of Europeanness. What Europe needs rather is a Muslim contingent that can critically engage and remind Europe of its self-acclaimed values, that Europe does not fully grant Muslims. Europe’s Muslims should struggle to manifest religious freedom, given the many restrictions they are facing from the hijab ban to the outlawing of for young boys or halal slaughter to mention only a few examples. Third, it may be possible that Muslims can play an important role in Europe to deliver its own promise of secularism. 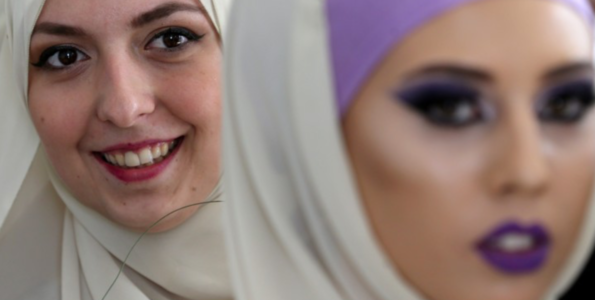 While in many European countries Christian churches still enjoy a privileged status and are – in different ways – connected to the state, Muslims rightly feel left out. Working towards a secular regime similar to the United States where state and church are much more rigidly separated while religion still enjoys a place in society and the public may well be path to follow. It could protect Muslim from the state’s repeated attempts to define their religion while in fact restricting many freedoms to fully practice it.